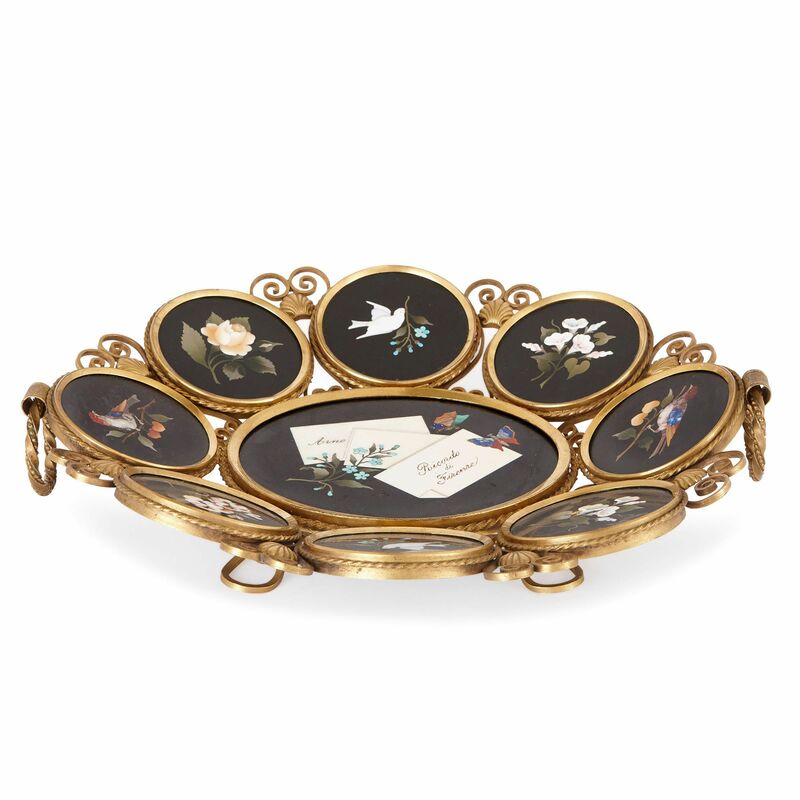 Inscribed ‘Ricordi di Firenze’ (Memory of Florence), this beautiful dish would have been purchased by a Grand Tourist as a souvenir of his time in Italy. The dish is comprised of a central oval, which is ringed by eight medallions. 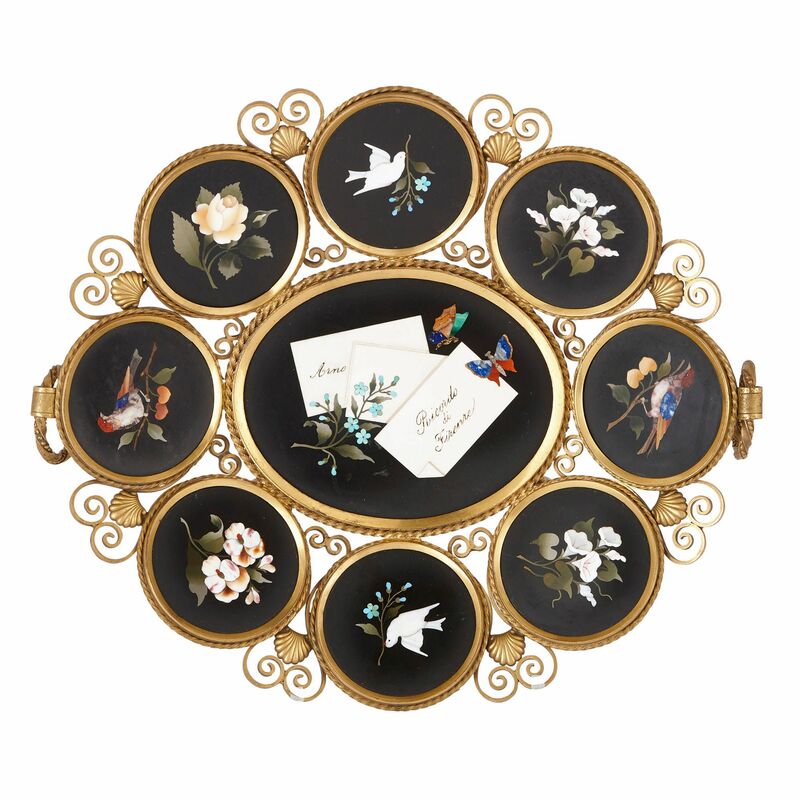 The dish is a fine piece of ‘pietra dura’ (Italian for ‘hard stone’) work. 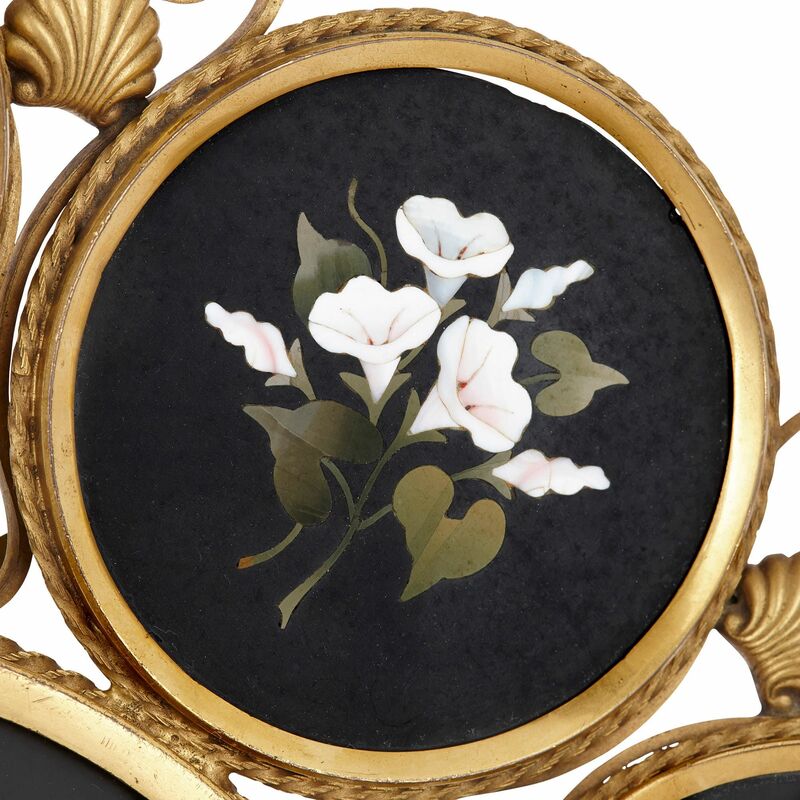 It was crafted by fitting stones of different shape and colour onto a black marble backing. 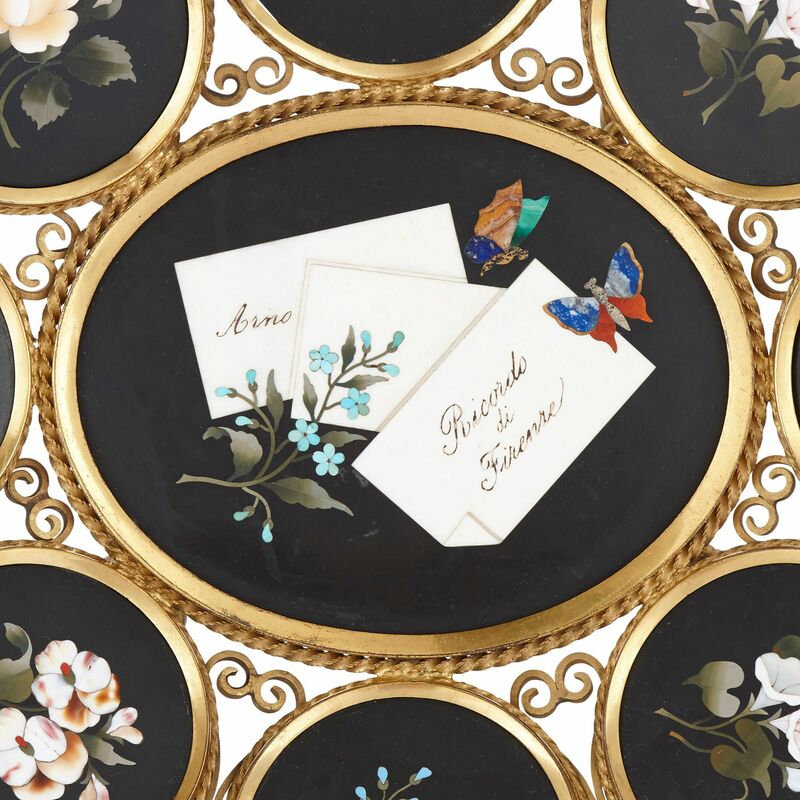 In the central oval, the stones have been inlaid to depict a collection of letters—one inscribed ‘Ricordi di Firenzi’ (Memory of Florence)—accompanied by light blue 'forget-me-not' flowers, and a pair of butterflies. 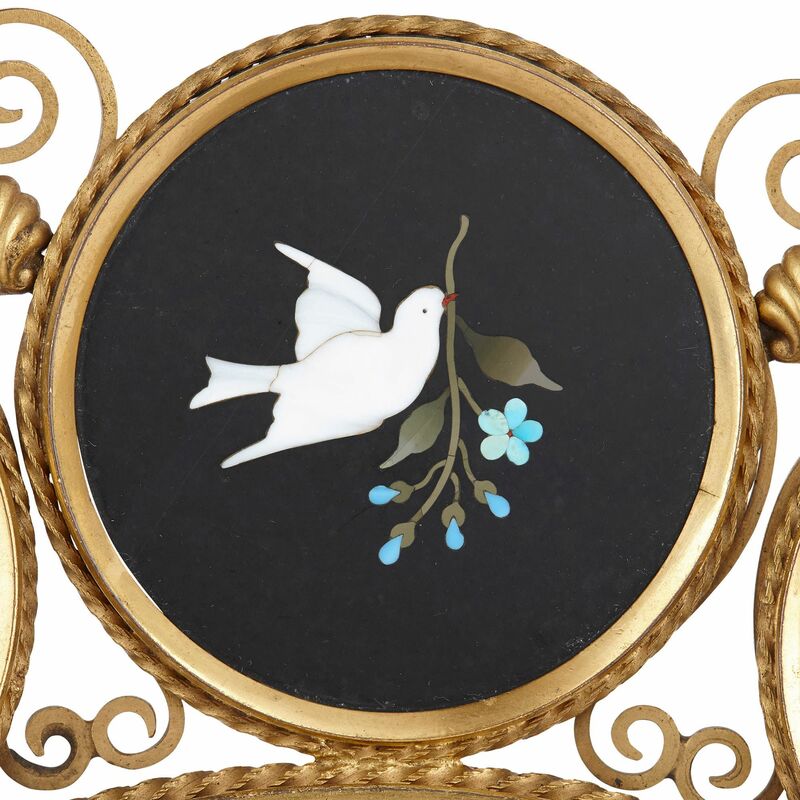 The eight medallions variously feature an image of a dove with forget-me-nots in its beak, a collection of white lilies, a yellow rose, garden bird, and yellow-pink hibiscus flowers. 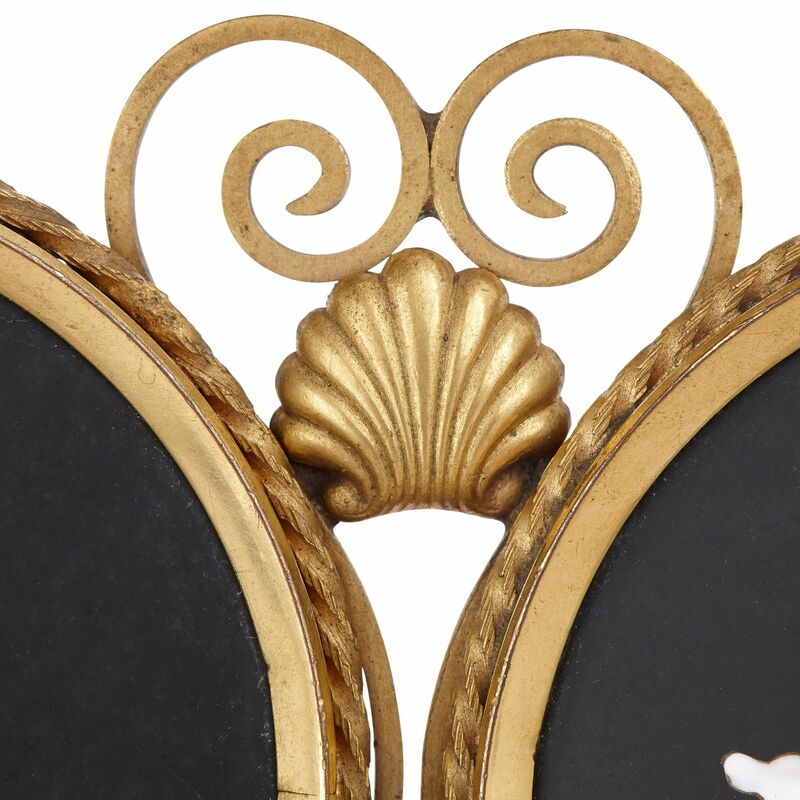 The ‘pietra dura’ panels are placed within ormolu (gilt bronze) frames, with twisted rope-work borders, linked by ormolu scrolls and seashells. 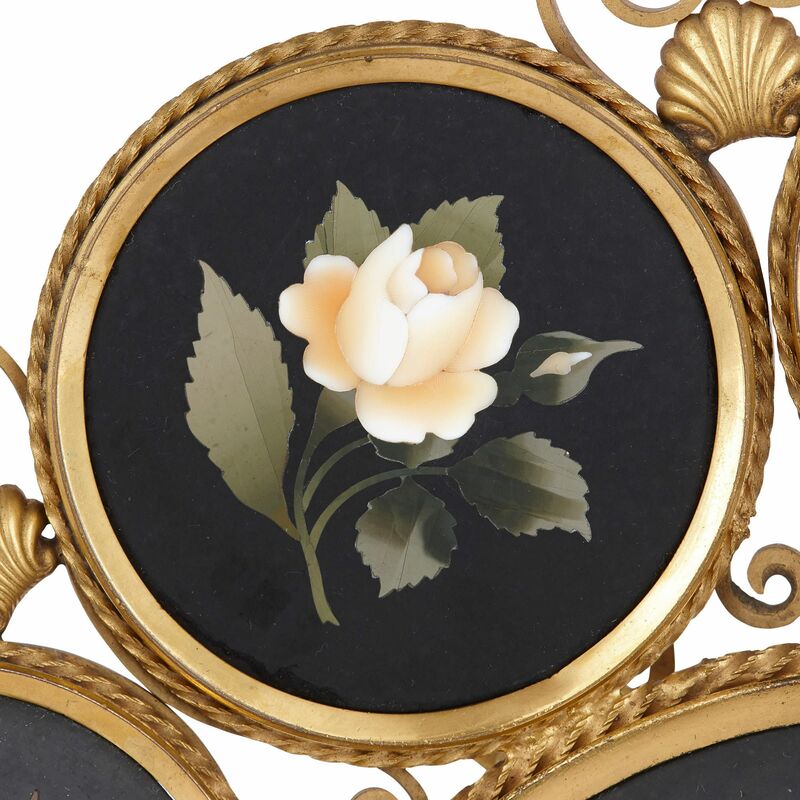 The dish is fitted with two circular ormolu handles, and is set on pierced ormolu feet. 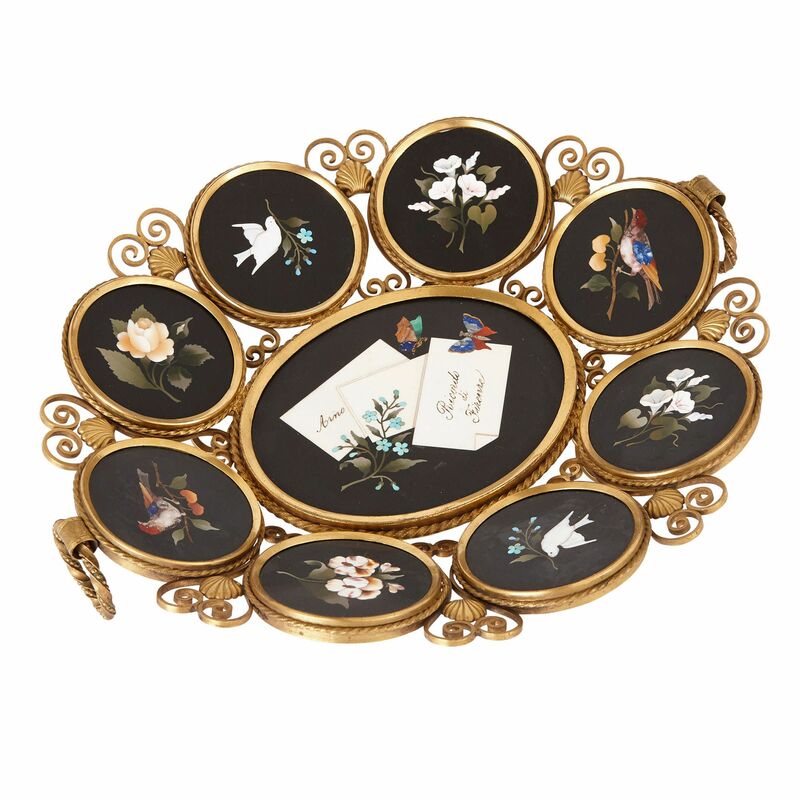 This dish would have belonged to a wealthy young man who had travelled to Italy as part of his Grand Tour of Europe. In the 17th, 18th and 19th Centuries, men would tour countries such as Italy, Germany, France and elsewhere in Europe, and to parts of the Middle East, to be educated in the arts. 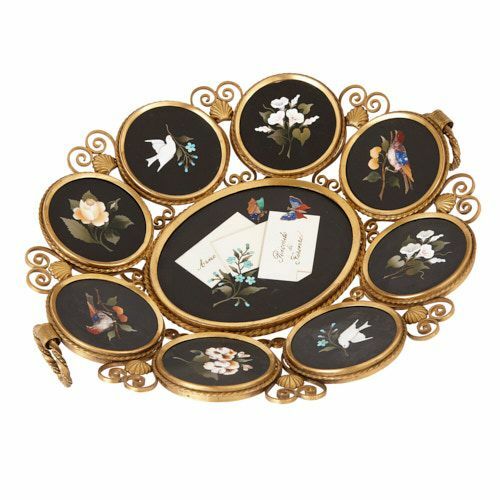 These Grand Tourists would collect sculptures, paintings, models and pieces of decorative art, like this dish, as souvenirs of their travels.